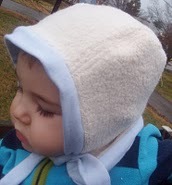 The pattern is for size 3-6 months and is easily modified for older babies and children. This pilot cap is designed to be sewn from woven fabrics, can be sewn from knits, and leaves lots of room for creativity. Pilot cap pattern looks more gorgeous and i just loved it's desing. Really wanted to make it to my nephew and gift it to him. I was a bit busy on How to write a college paper on babies.